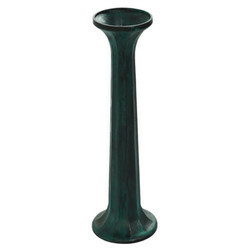 We are the leading Manufacture supplier exporter of Metal Pillar and offer this product as per client requirments and this product Made by our expert with the Great quality and i am looking For bulk order. Hopper Pillars are also made by using premium quality raw material that ensures durability and sturdy construction. This pouch packaging machine spare part can be custom made in different sizes and dimensions depending upon the clients' requirements. With the assistance of our diligent workforce, we have been able to render Engraved Metal Pillar to the customers. We offer intricate and innovative designing of pillars using fine equipment and techniques. Customization facility is also offered to the customers to meet their variegated requirements. 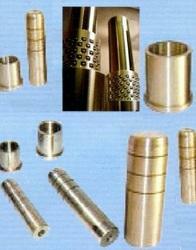 Our decorative metal pillars are extensively used in various constructions. The artistic design is one of the leading attributes of our decorative pillars. We are reckoned as one of the prominent stainless steel decorative pillars. With a firm commitment to quality, we are involved in offering a wide ambit of MS Pillar.